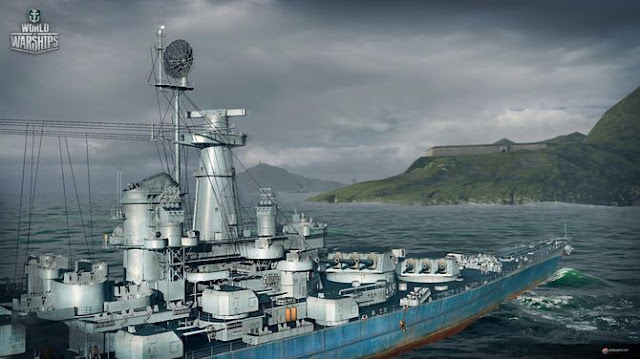 World of Warships is like its siblings World of Tanks and World of Warplanes a free-to-play arcade military simulation, as the name suggests deals with warships. Despite all, you need to consider some basic things that you may be a successful captain. These principles we have noted in this and other guides. This Guide is currently in beta version 0.4.0.3. Torpedo or artillery in cruisers? The cruisers of Americans rely more on their guns, the Japanese in torpedoes. From Tier 6 possess American cruisers no longer use torpedo launcher. In addition, Japanese torpedoes are recharged faster and have a longer range. The thick battleships of Americans are slower but not as slow to maneuver. In addition, its air defense is stronger. However, the Japanese warships have for a stronger secondary armament and are faster. The Japanese rely on their aircraft carriers to smaller squads, but more aviator Rotten. This allows you more flexibility and potential, but of course requires also good micromanagement. In general: On average, Japanese are more heavily armed, but also have less hit points. Especially the wooden decks many Japanese ships call their own are mentioned: Here steep shot high-explosive projectiles hit very good one. This small review to be just a rough idea of the classes of ships. Both through its own guides will be discussed in more detail on the individual classes. Destroyers are small, fast and agile. They also have good camouflage values because of their size. These properties as well as your main armament with torpedoes make them ideal vessels here in order to sneak up behind islands and to go with torpedoes to hunt for big and sluggish vessels. They also have an engine boost and smoke screens. More you can find in special Destroyer Guide. Disadvantages are the weak armor and the range. Cruisers are not just something between destroyer and battleship. They are the backbone of the fleet. Your strengths are speed, strong air defense, fast and accurate main guns and their versatility. Disadvantages are the most weak armor and size: they are clearly visible and easy to damage. Leverage maneuverability, to dodge torpedoes and heavy fire. The thick battleships have strong armor and unprecedented (but very slow) firepower at long range. However, a battleships is incredibly slow. Just a short distance makes them incredibly vulnerable to small and maneuverable ships with torpedoes. Battleships have incidentally on special repair crews that can recover hit points. Hated or loved: aircraft carriers. Said in advance what the game looks from the outside very cozy is in fact stress without end: A good aircraft carrier captain always coordinates his squadrons - and on the whole map. You can serve with aircraft carriers incredible amount of damage, but this is not easy.